No homework do to ? Your child and teen finally can do other things. 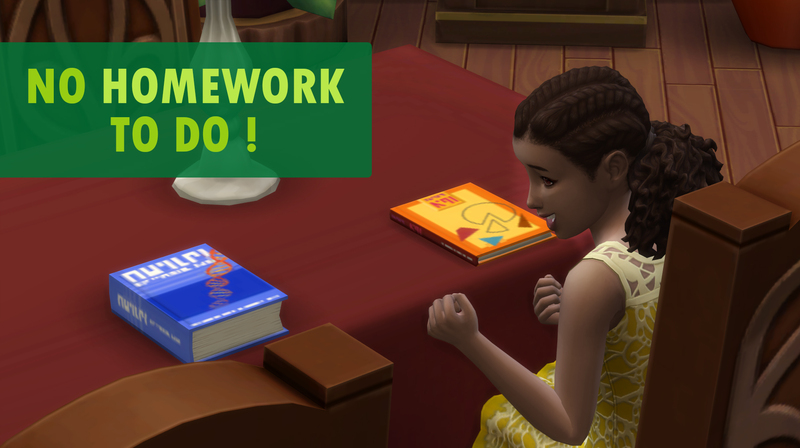 With this mod, homework is done automatically, the homework task is always "complete". 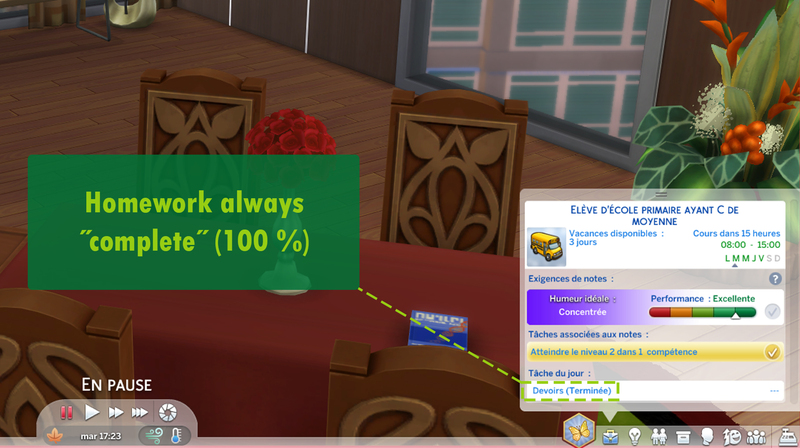 The option "extra homework" is always available and can be done by your sim. IF your create or play with a new family, homework is not to "complete", don't panic ! 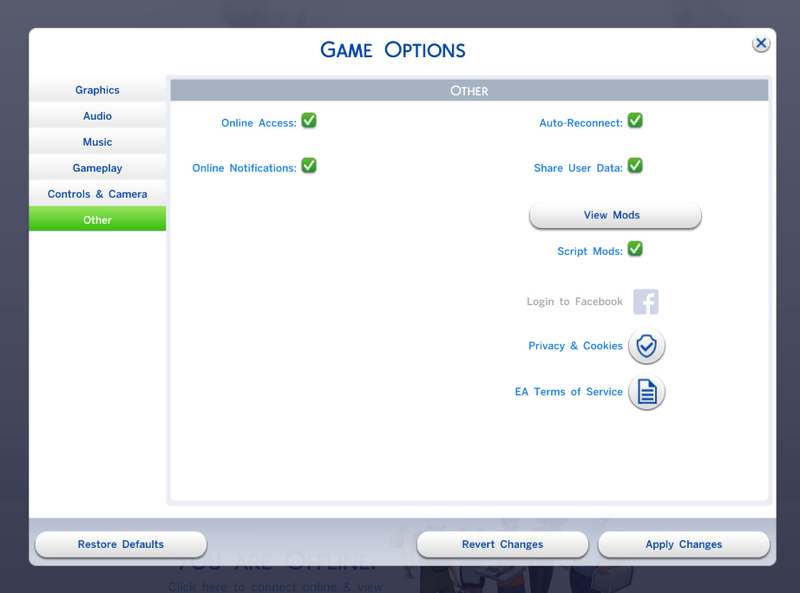 The task 'll complete when your sim will come back to school. It changes original min_value_tuning -100 to min_value_tuning 100. Unzip the downloaded file and place the .package file into your "Mods" folder. Extracted and modified files with S4 Studio. Nova_NoHomeworkToDo.rar | Description: Homework always complete (100%) in .RAR. Nova_NoHomeworkToDo_Alternative.zip | Description: Homework always complete (100%) in .ZIP.